The Witcher's bleak world and grey morality make it one of my favourite RPGs. The microcosm it creates made me think about the impact of human vices, which are ever-present and spawn a variety of monsters, ranging from the hordes of ghouls and graviers, to the darker impulses within the human soul. Moral choice systems in RPGs often focus on the choice between playing the hero or villain. My natural tendency is to take a more neutral path, which is often very difficult. I risk annoying all the characters and cutting off my choices if I try to stay balanced, so by necessity I'm often forced to follow a stereotypically good path. 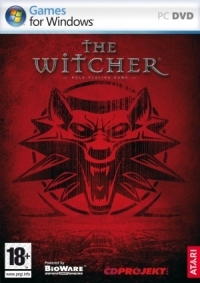 The Witcher takes place in a morally grey world with no clear good or evil choices. It's a rare example of a game that puts a fully realised neutral path under the microscope. Neutrality may be seen as just as simplistic as good vs. evil. Looked at another way, it can encompass all choices in a more realistic way than either of those extremes. While a character may be attracted to the concept of balance or not taking sides, they may equally well make decisions based more on their personal compass than any external definition of how to behave. 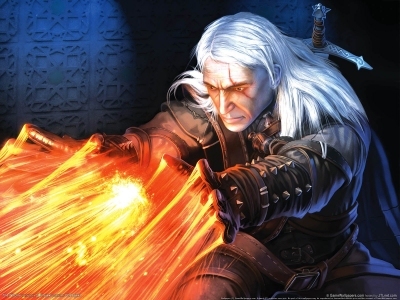 In the stories by Andrzej Sapkowski on which the Witcher is based, neutrality is an important theme. 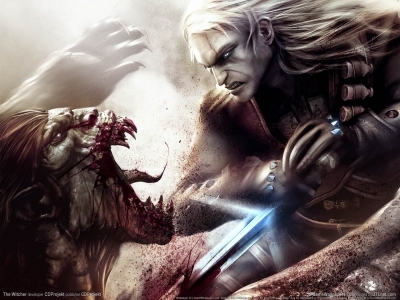 Geralt has no desire to get mixed up in politics or affect major events, but he often finds himself with little option. The choice not to choose is ultimately still a choice, with real consequences. I think that's an important message for real life, as avoiding action is one technique for attempting to evade responsibility. It doesn't really work. The main example that springs to mind for me is human-caused climate change. The choice not to take action will have serious consequences in the future. It's a rare example of a game that puts a fully realised neutral path under the microscope. 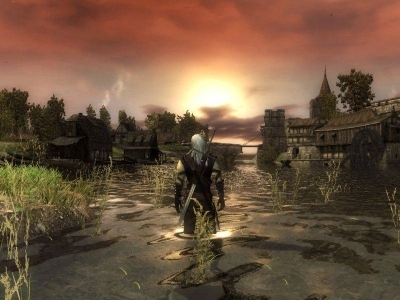 In the game, Geralt has amnesia and it's up to the player to reshape his world view as they choose. Overall, I did stick mainly with the classic Witcher view of neutrality, i.e., a passive outlook on moral choice. One thing I really appreciated was often having the ability to answer "I don't know" when I hadn't quite made up my mind about something. 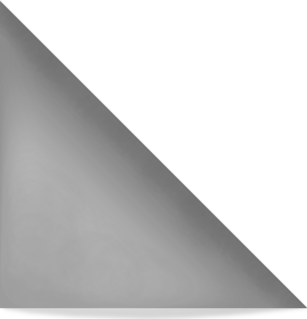 It is certainly possible to make more active choices among the unclear shades of grey. There is a strong emphasis on decision and consequence regardless. More recently, Dragon Age also presented a microcosm of dark fantasy with choices that were less clearly right or wrong. However, it set out a clear binary option in each major game area, which felt quite contrived. 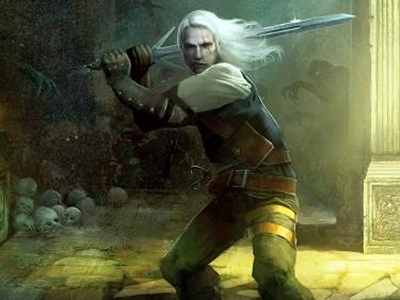 The Witcher's choices seem more organic, and outcomes are far less predictable. It's not always clear which options will turn out to be important, and consequences range from the personal to the political. Often bad things are going to happen regardless, and it can come down to choosing the lesser evil. Destiny isn't presented as an entirely positive thing. Often, it turns out downright messy. The lesser evil, and whether there really is such a thing, is another important theme from the books. Many significant ideas from the original literary world have made their way into the game. Do you believe in destiny? What makes a monster? Should the Scoia'tael guerillas be considered freedom fighters or terrorists? I present these as questions, because there is no clear answer suggested for any of them, and it's really left up to individuals to decide. The Witcher's dark version of classic fantasy takes inspiration from traditional folklore and fairytales, but cleverly subverts them. Destiny isn't presented as an entirely positive thing. Often, it turns out downright messy. Romance is not a matter of Happily Ever After, and sometimes simply doesn't work out. Geralt is truly terrible with relationships, and comes across as scared of commitment. He is constantly on the move, playing the lone wolf monster hunter. He has an optional string of casual liaisons, but struggles when faced with the possibility of love and family. In the books, even his powerfully destined love with the sorceress Yennefer arguably serves to make them both miserable. I don't know anyone who is quite as bad as Geralt when it comes to relationships, but I'm sure there are elements of this tragic version of romance that most people can relate to. People's failings are tangible in the world of The Witcher, and monsters feed off the results of greed, racism, and other destructive forces. People's failings are tangible in the world of The Witcher, and monsters feed off the results of greed, racism, and other destructive forces. Monsters thrive as the area erupts into war. As tensions build relationships also suffer and break under the strain. There is a clear message here about cycles of violence and the terrible impact of war. In the middle of this world of competing injustices and misunderstandings all I could really do was take a sword to creatures who would feed on the rotting corpses. There is a tragic powerlessness to this battle. And yet, I fought on, perhaps hoping to ultimately overcome the human weakness leading to this situation. The Witcher is an inspection of the self, and whether our flaws can be overcome looks like it remains an open question. Amber Gilmore writes the Microcosm Gamer column. "Games provide me with a diverse range of miniature worlds to explore. I'm fascinated by the myriad of ways these microcosms recreate elements of reality. Even the most fantastical or abstract games stem from real world concepts when studied under the scope. Far from being mindless escapism, playing games prompts me to reflect on the concepts presented and how they inform my outlook."